True Fit is a global retail software company that provides a data-driven personalization platform to 250+ footware and apparel retailers. The company has locations around the world including Boston, London, Los Angeles, Berlin, Mumbai and Nice. 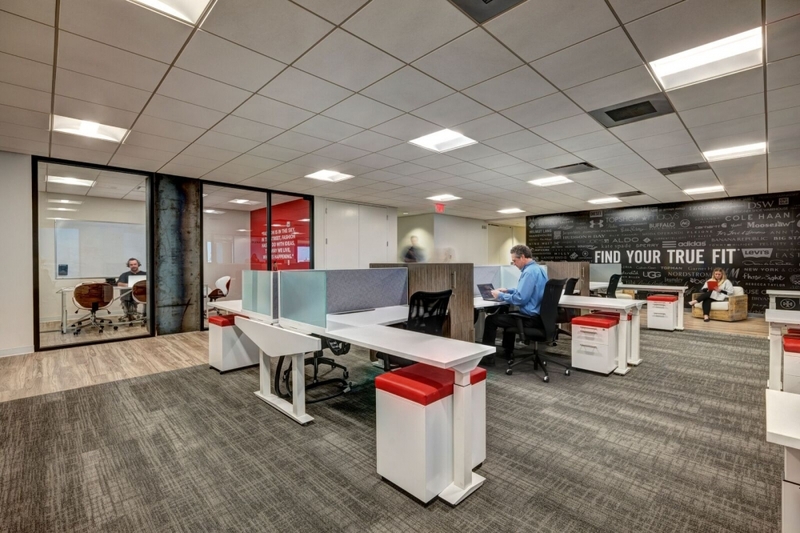 The team at the North American Headquarters in Boston was looking to find an office solution that offered users flexibility and diverse storage capabilities as a fit for their dynamic entrepreneurial environment. 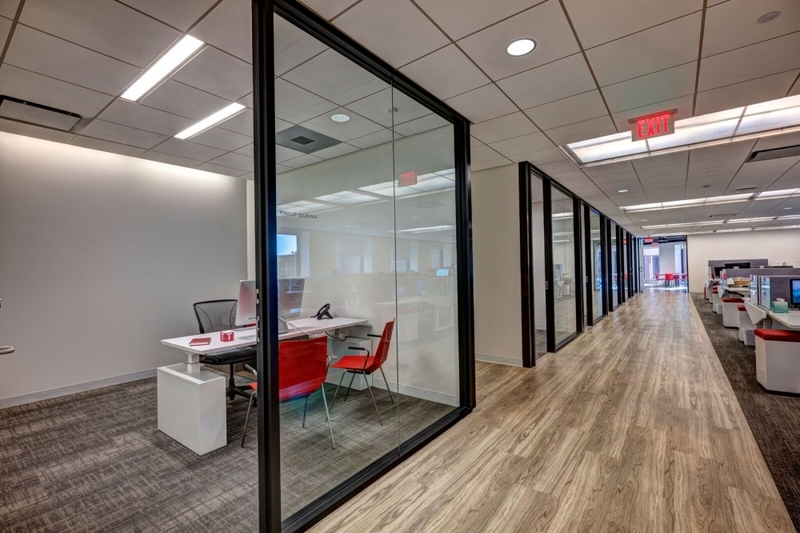 An engaging design aesthetic, value, and a cost-effective price point were key project objectives. 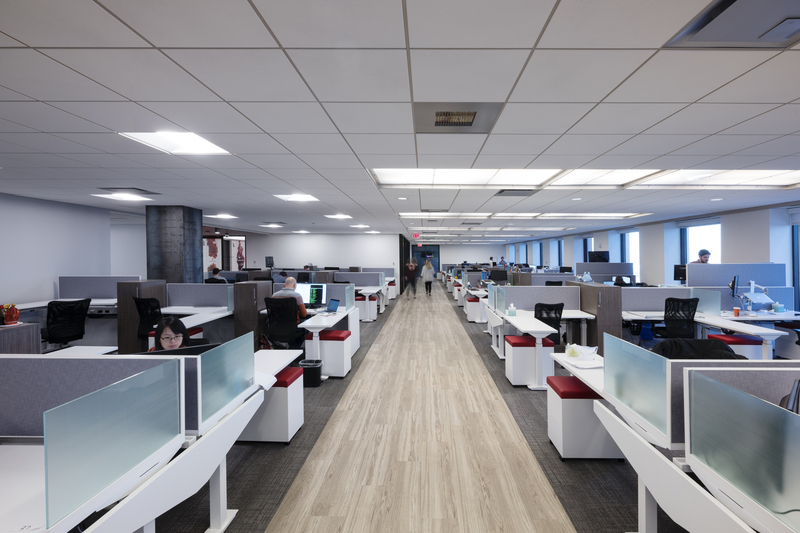 As a unique height-adjustable benching solution designed for a modern open space plan, AIS Aloft Sit-to-Stand benching system was chosen for their open plan areas paired with Calibrate in private offices to accommodate a wide-range of users. The blend of AIS Aloft and Calibrate storage components provided the flexibility and varied storage vital to the environment. As a local manufacturer, AIS was able to accommodate the project schedule by accelerating shipping to the site.